Dadra and Nagar Haveli is an Indian union territory located between the states of Maharashtra and Gujarat; the territory’s capital is Silvassa. This union territory is located in the watershed of the Daman Ganga River, which flows right through the area, supplying water to its residents. The main languages spoken by the people here are Gujarati, Hindi and Marathi. Dadra and Silvassa are the territory’s major towns and both lie on the north side of the river. The foothills of the Western Ghats Mountains take up the topographic eastern portion of the region. The territory does not touch any ocean, but the Arabian Sea is close by, just west of the state of Gujarat. Dadra and Nagar Haveli is located on the western side of India and its geographic location is in between the paralles of 20 - 0 degrees and 20 - 25 degrees latitude North and 72 and 50 degrees and 73 and 15 degrees of longitude East. The territory's area covers 190 square miles in total and its western area is hilly, whereas its central region is on a flat plain. Because Dadra and Nagar Haveli is located near Gujarat’s coastline, it has hot and humid summers, a lot of rainfall during monsoons and mild winters. When the last census was performed in 2011, the territory had a population of only 342,853 people; this made it one of India’s least populated regions. More than 62% of the people living in this territory came from indigenous tribes such as the Dhodia, Kokna and Varli. 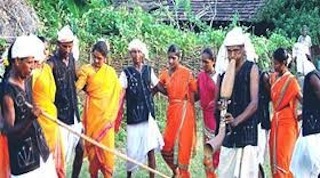 People from all over India make up the 38% of its non-tribal population. Gujaratis, Marathis, Rajasthanis, Biharis, Tamilians, Uttar Pradehsis and people from other states and territories make up the 38%. One reason for the territories popularity is its mild climate and many job opportunities. In speaking of religion, nearly 66% of Dadra and Hagar Naveli’s population are Hindu, while about 30% are Christian and the rest follow Jainism or tribal religions. Originally, the area was ruled by chieftains called the Koli during ancient India history, but the Koli were defeated by Rajput kings during medieval India history. In the mid-eighteenth century, the Maratha Empire took the region away from the Rajput Kings. Then, in 1779, the indigenous people of this present day territory wanted to keep the English from ruling the area and needed powerful help in keeping the Maratha Empire in check, so they made a deal with the Portuguese. The treaty was an arrangement where the people of the territory allowed the Portuguese to collect taxes from its 72 villages and to settle in the Nagar Haveli section of the region; it helped to compensate the Portuguese for a battleship that was conquered by the Marathas prior to the treaty. The Portuguese purchased Dadra from the Indian people in 1883, but later released it to them in 1961. Although, independent and free, the territory was still recognized as a Portuguese property, so the people of the territory requested the Government of India for help, which had received its independence from Britain in 1946. A man named K.G. 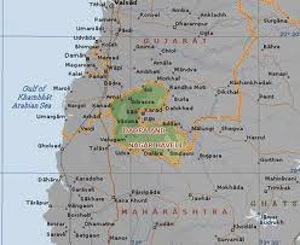 Badlani of the Indian Administrative Service was sent to administer the territory and it was officially ruled by the Varishtra Panchayat of Free Dadra and Nagar Haveli from 1954 to 1961. In 1961, Indian forces took over the territories of Goa (which is now a state), Daman and Diu and Mr. Badlani was designated the Prime Minister of Dadra and Nagar Haveli so the region could be made a union territory of India. Dadra and Nagar Haveli’s economy relies on industry, agriculture, forestry, animal breeding and tourism. The state’s gross domestic product rose from $220 million in 2004 to $360 million in 2009. About 60% of the population is employed in agriculture, with roughly 58,380 acres, or 48% of the union territory used for this purpose. The main items grown here are paddy, jowar, sugarcanes, tur nagli, tomatoes, cauliflower, cabbage and brinjal. Some of these agricultural workers work in forestry and animal breeding rather than crop farming. In Dadra and Hagar Naveli, the manufacturing industry is large. The region’s industrialization began recently in 1965, when a company called Dab Udyog Sahakari Sangh Ltd opened its doors in Silvassa, and later established four additional locations in the region. Industry in this union territory includes various engineering products, clay pots, leather and bamboo made items, fabric tufting and weaving, dying and printing services. One reason industry flourished here was because there was no sales tax for businesses until 1988. Sales taxes have been implemented now, but new businesses gat a temporary exemption from paying them. Industry provides jobs to approximately 46,000 people in the state. Leave Dadra and Nagar Haveli to visit other union territories and states of India. Check out what it's like in India today. Some useful advice for traveling to India.